It was unseasonably warm on Saturday when the husband and I were out and about running errands. So warm. Too warm for this jacket even as it ended up coming off shortly after taking these pics! It definitely made me excited for longer days and warmer temperatures even though this winter really hasn't been that bad. I bought this sweater a few weeks ago. I was drawn to the color combo and the offset stripes. Plus its crazy soft and the perfect length. I'm in this weird part of the season where I'm kind of over buying anything winter related, but I'm not quite ready to buy spring stuff yet. This sweater was the perfect transition purchase. I had a hair appointment Saturday morning, and the husband decided to tag along, getting his haircut at the salon as well. Afterwards we ate at my new favorite BBQ restaurant. Seriously. I've been there three times this week, and while I love BBQ, I certainly don't love it enough to ask for it three times in one week! Not that the husband is complaining! BBQ is one of those things he could eat on the daily! The thing that gets me the most is that they serve a side of flour tortillas with your meal. So, I end up making tacos with my brisket and cole slaw and then devour my side of sprouts. SO GOOD. It's called Beast Craft BBQ if you guys are ever randomly in southern Illinois. Speaking of being local, a funny thing happened. 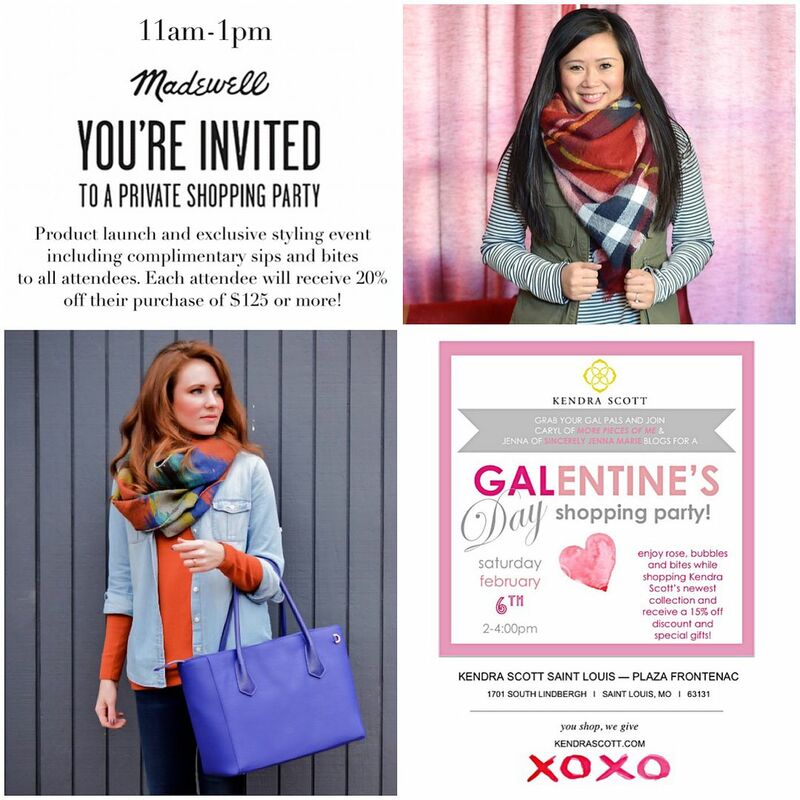 A few weeks ago, the local Kendra Scott event manager reached out to Jenna and me to see if we would be interested in hosting a Galentine's event at the store on February 6th. 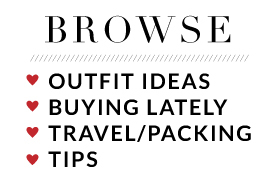 A couple of weeks later, a stylist for Madewell reached out to both of us (apparently we are a packaged deal!) to see if we would be interested in hosting a product launch and styling event at their store on that same day! Lucky for us, the times worked out, and both stores are located within the same mall! So, if you are in the St. Louis metro area, we hope you'll stop in! 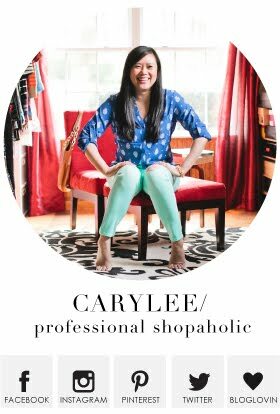 Light bites, discounts, amazing products, and hello - us! Ha! I'm excited. It should be a great time! 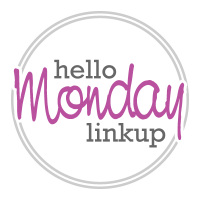 The linkup is below! Thanks for stopping by and have a great week! Your striped top is lovely! :) It's hard when the weather starts to change - you can't wear any pieces as it's still not the right temperature, but you want something different from the usual stuff you've been wearing all season! Cute look! How do you keep those booties so spotless? Ah. Love the striped sweater. Stripes + blue is pure win in my book. A little bit in the same boat. Don't want to buy winter stuff. No more sweaters please. Bring on warmer temperatures. I'm so over winter dressing. we are twinning with the jeans today and I love this whole look. And your hair is so perfect then again it always is. I'm so happy for you and Jenna, wish I could be there to support you guys. I'm a sucker for super soft sweaters and those grey boots are def stylish. Congrats on the collab deals with Jenna, I follow both your blogs and you are both amazing! Haha I feel the same way about bbq. love your jacket! Love your sleek look here! I will definitely check out that BBQ when I driving thru southern Illinois. We go that way when we travel to see family in Arkansas. Thanks for the Link Up! You look gorgeous. I really like that sweater and I think it looks great with that jacket. It WAS crazy warm this weekend, wasn't it? I was able to get outside and do some spray painting for my office makeover and was grateful for it because there is no way we were supposed to have 2 back to back days like this weekend in January. I guess I'll have to take a little jog across the bridge. My husband is also an everyday BBQ guy. Have you guys tried Sugarfire in Creve Coeur yet? 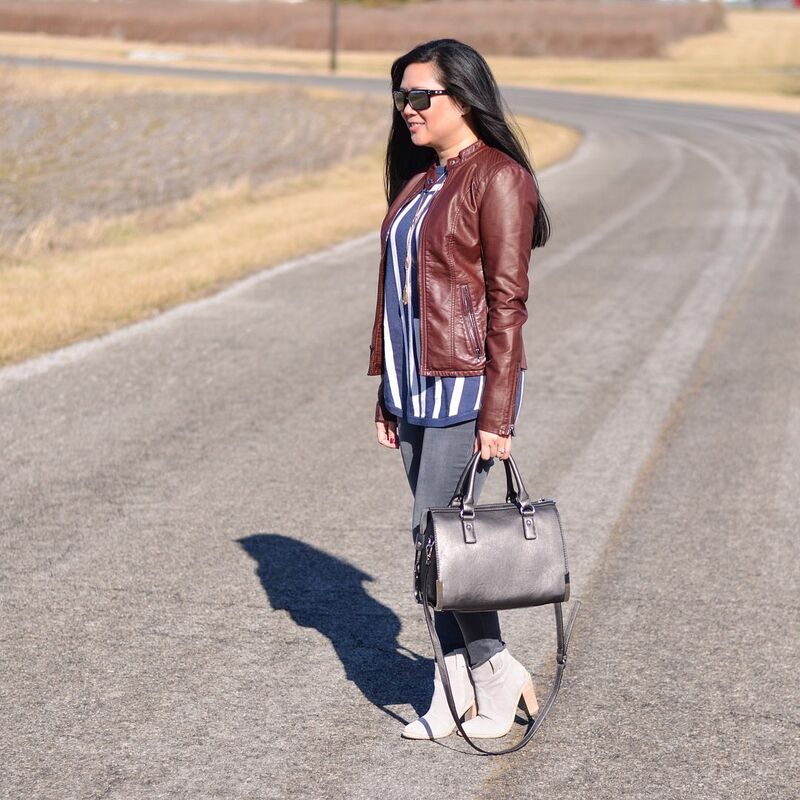 Can't go wrong with a brown moto jacket - Have a great week! Love that top and boots! Hope you have a great week! Love that top! And those boots! So fun to be hosting events! You are so big time!! 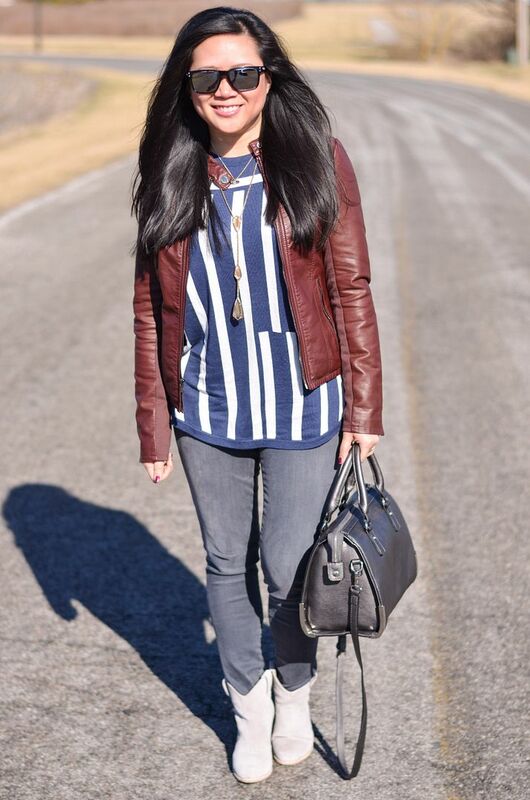 I love that striped top--it's different from the usual striped top, and it does make such a great transitional piece. And yum... BBQ served with homemade tortillas sounds really good! 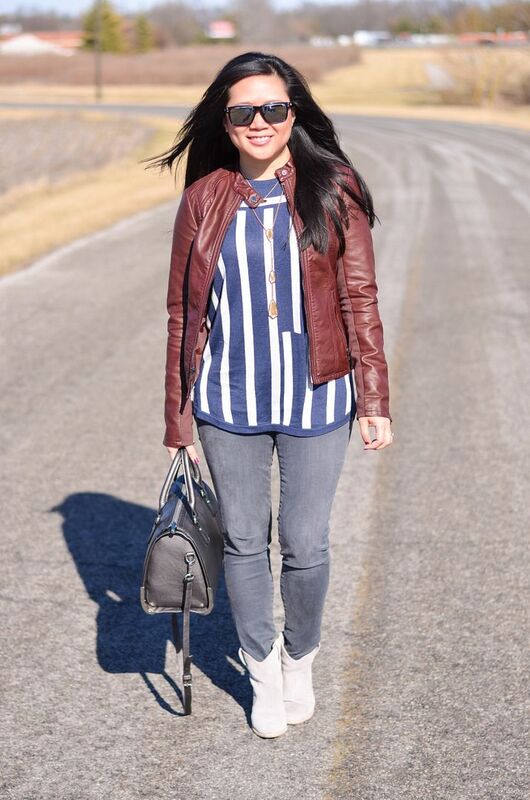 Love the blue and white striped top! Thank you for hosting. Amazing opportunities! The hosting event for Madewell sounds especially fun! I wish I were there to support you guys! I love this look. Everything is pieced so well together. Perfect sweater to transition from winter to spring. 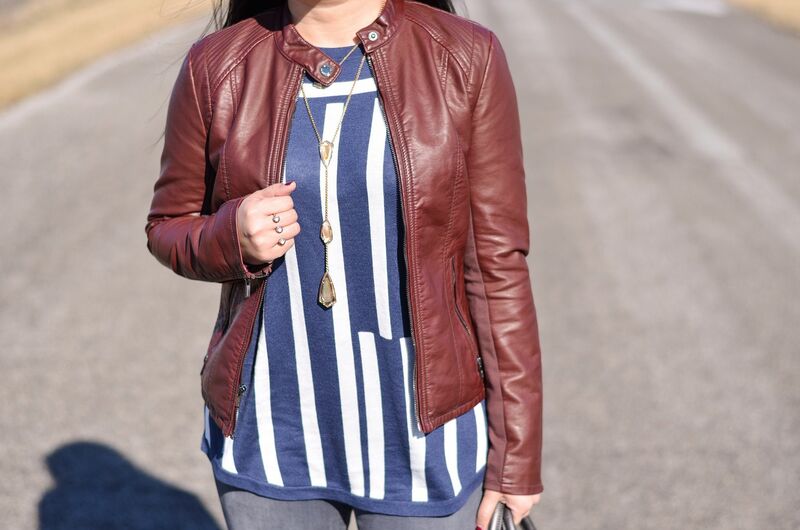 Loving this striped shirt with the burgundy jacket! That is a beautiful jacket! I just love the color of it! Such a fun top! I hope you enjoy the event; it sounds like fun! That will be so fun to host two events together and how perfect that they are on the same day!! Those events sound like so much fun! I wish I was in the area. Shopping in between seasons can get tricky. hehe But we can presevere, right!!? Loving the navy stripes btw! So fun! I wish I were in your area to come to your event!